The company has the legal structure of a partnership limited by shares (Kommanditgesellschaft auf Aktien/KGaA). 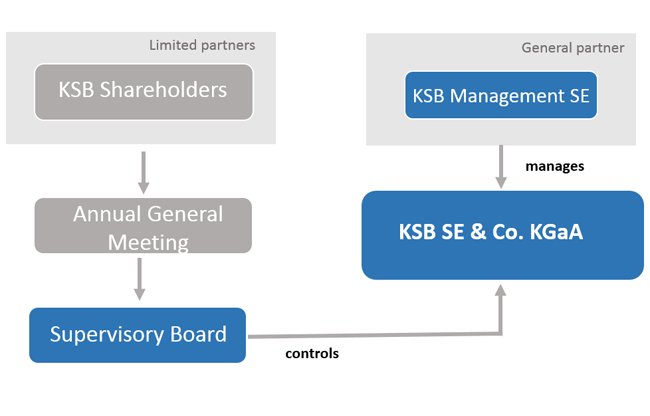 The general partner KSB Management SE is responsible for the management of the company. The distribution of responsibilities among the bodies is governed by law and by the Articles of Association. It is the basis for an efficient management and control and fosters a sustainable development of the company.